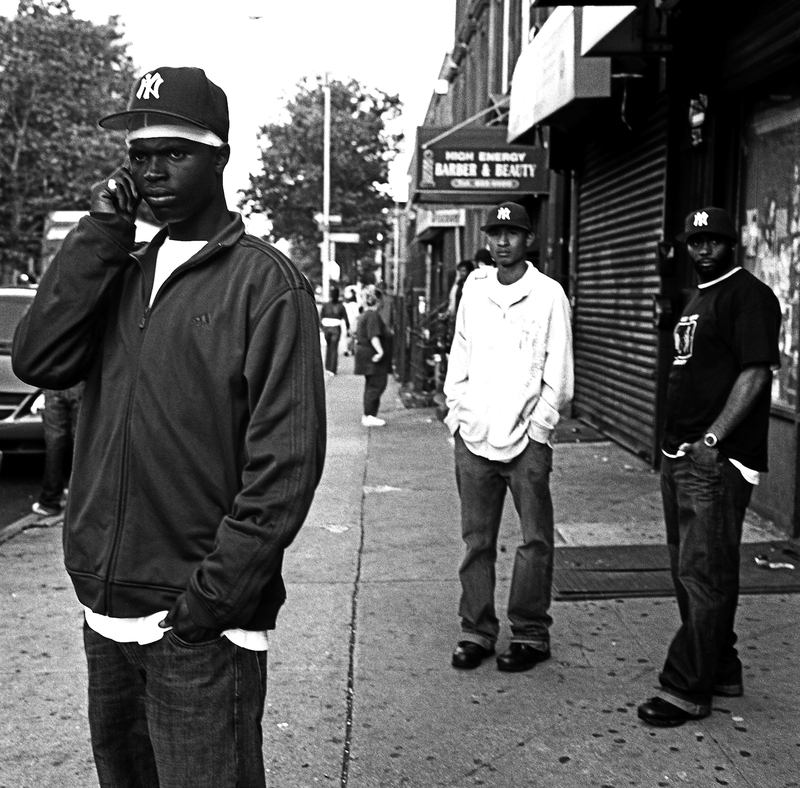 Editor’s Note: Russell Frederick has amassed an incredible portfolio since he began documenting the Bedford-Stuyvesant neighborhood in Brooklyn in 1999. 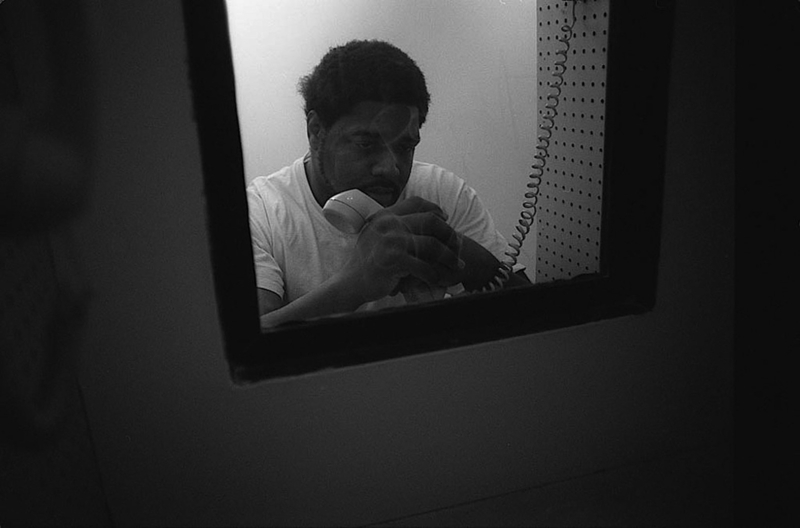 He has a commitment to men whose lives have become entangled in the criminal justice system. It is a commitment that goes beyond the camera. In his work with young men at the Kings Against Violence Initiative in Brooklyn, he witnesses first-hand the school-to-prison pipeline. We asked Frederick to think about the men he’s met over the years, the ones whose stories have stayed with him, even haunted him. What he reveals in this photo-essay, Once Upon A Time We Were Kings, is an intimate knowledge of who these men are. His work captures both the possibility and failure as they attempt to rebuild their lives. Our society vilifies men that are imprisoned; they are forever labeled and reduced to something less than they are. The title of this work, Once Upon A Time We Were Kings, allows us to think of these men as “Kings.” It also speaks to uplift. It is a way to restore them. The portraits here show a kind of before and after: who these men were before they were imprisoned and who they were after that experience. In many ways, both overt and subtle, the images depict that they are still very much in a state of confinement even though they are no longer physically in prison. 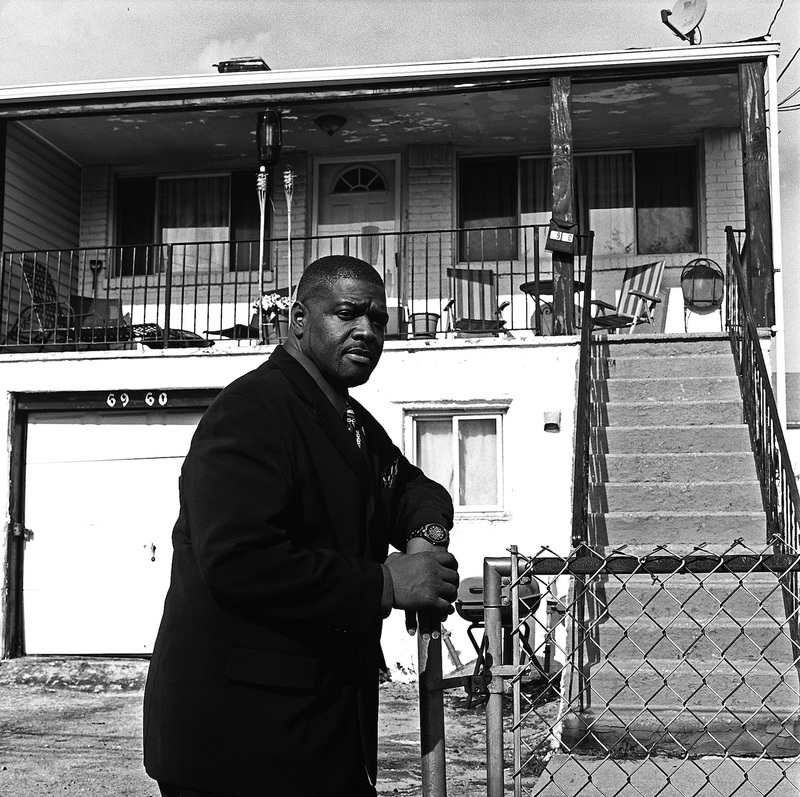 “George” stands in front of the home he purchased in 1999 and then lost in 2001 after his incarceration. It was the first and only home he owned. He has not been able to rebound after his time in Rikers Island. Since then, he has had unstable work. He battles hypertension and depression and is currently on dialysis and anti-depressants. He lives in a studio apartment in Long Island. Tim was a boxer and a champion for Golden Gloves, the national competition for amateur boxing. 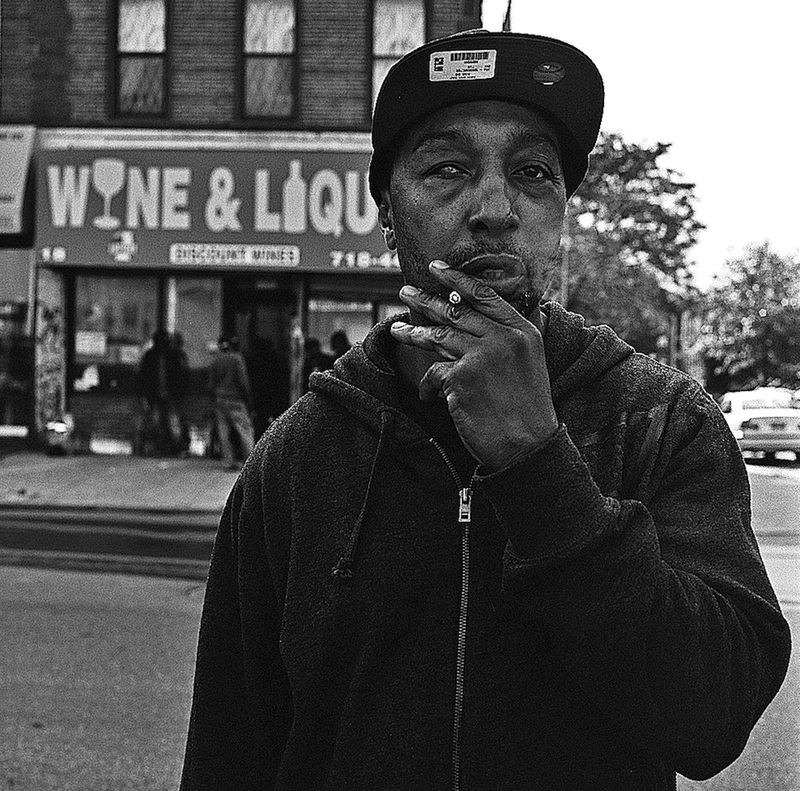 In the 1990s, he was caught up in the warfare of the streets plaguing the Bedford Stuyvesant neighborhood of Brooklyn. Tim served two years in the 90s at Ossing Prison, also known as the Sing Sing Correctional Facility. While in prison, he got into a horrific fight that left the retina in his right eye permanently damaged. Tim currently works at a pizza shop in Brooklyn where he makes deliveries. “I’d rather be doing this than be in jail,” Tee told me. 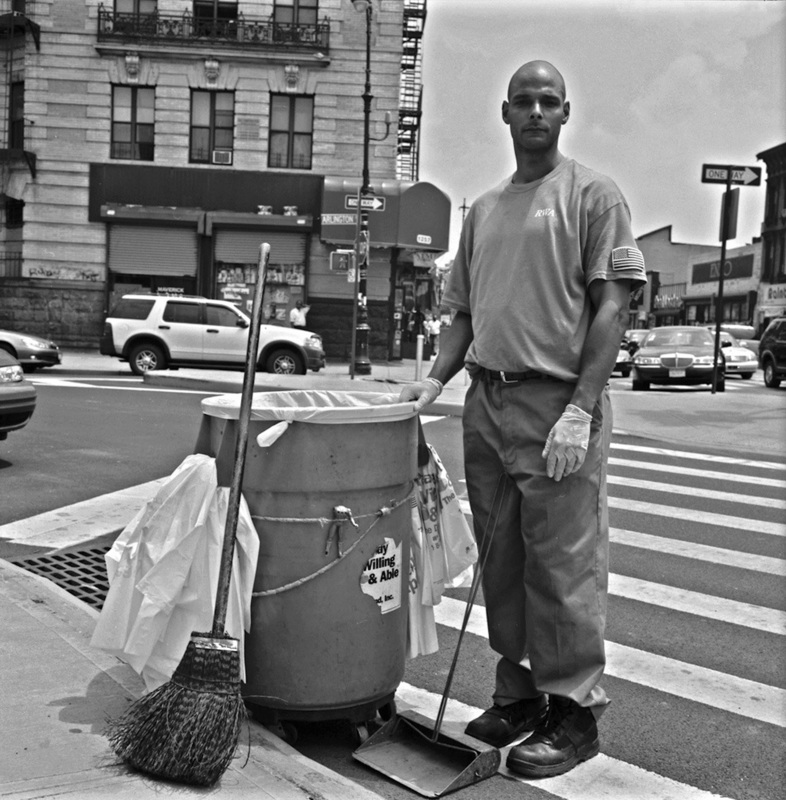 He is proud to be a cleaner working on Fulton Street, Brooklyn for The DOE Fund and its Ready, Willing and Able program. It aims to help the formerly imprisoned achieve permanent self-sufficiency. Tee never disclosed to me the exact reason why he went to prison. He said he spent eight years behind bars for a foolish mistake he attributed to being young. Now, he says that his dream job would be to have his own cleaning business and give people who have been in prison a second chance. I first met Rasheed in 2003 when he was 19. He had a record of 5 F’s (Felonies). He is photographed here at the age of 23 on Franklin Avenue with some of his friends. At the time the photo was taken, Rasheed shared that he was very depressed. He had a baby on the way. A G.E.D. program, affiliated with Apex Technical School in New Jersey, had accepted him. However, his parole officer denied his participation because the program was out of state. This was the last time I saw Rasheed. He is currently in a prison upstate. 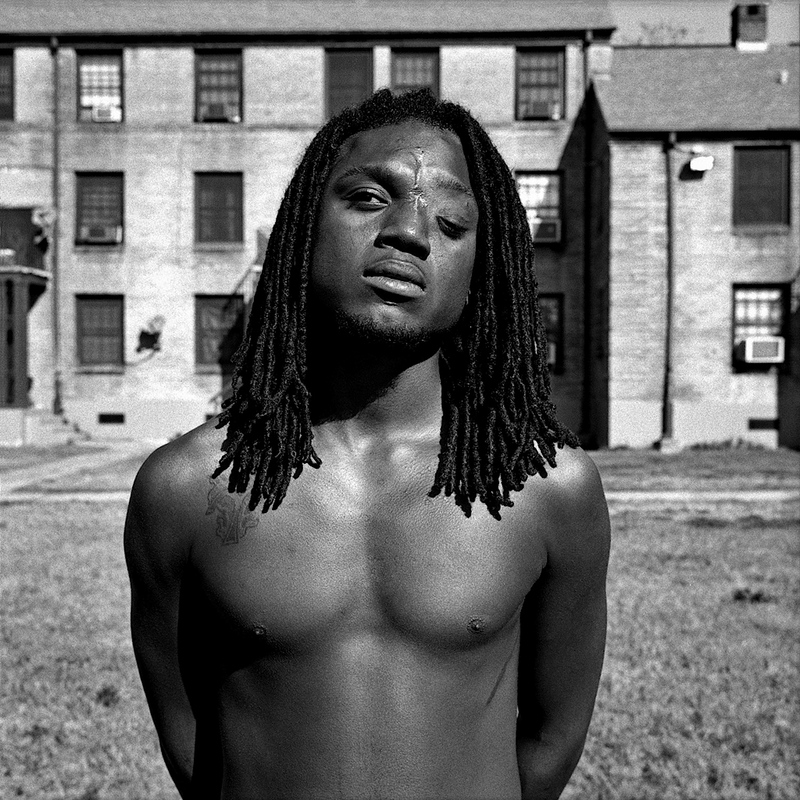 Russell Frederick is a self-taught Brooklyn-born photographer of Panamanian heritage. He is the recipient of grants from the Open Society Foundation, New York Foundation of the Arts, Brooklyn Arts Council and the Urban Artist Initiative Foundation. 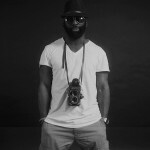 Frederick is a member of the African-American photo collective Kamoinge and is represented by KEYSTONE photo agency in Switzerland. As an educator, he dedicates time to mentoring at-risk young men with the Kings Against Violence Initiative as the Men’s Program Director.